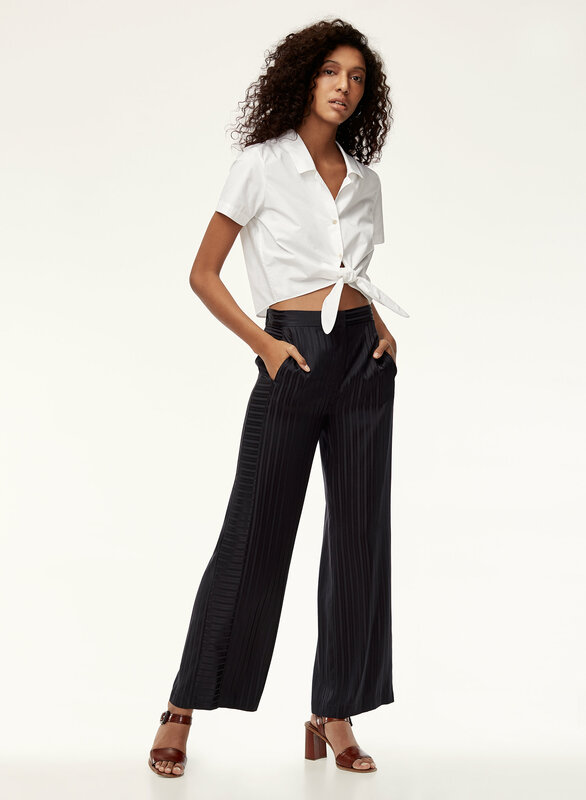 Styled with chablais pant . 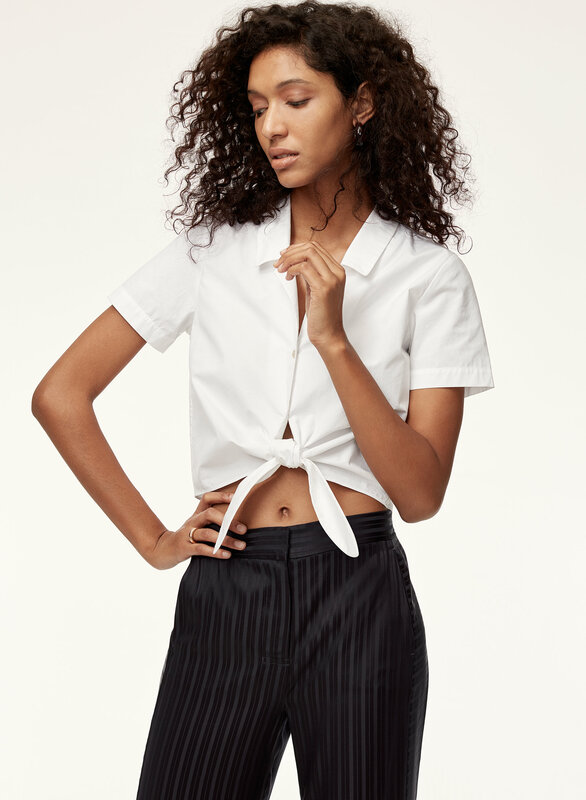 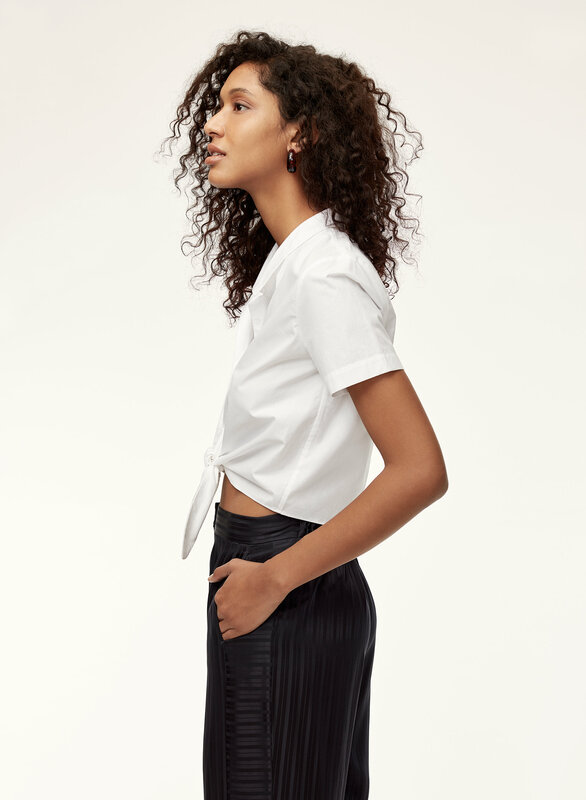 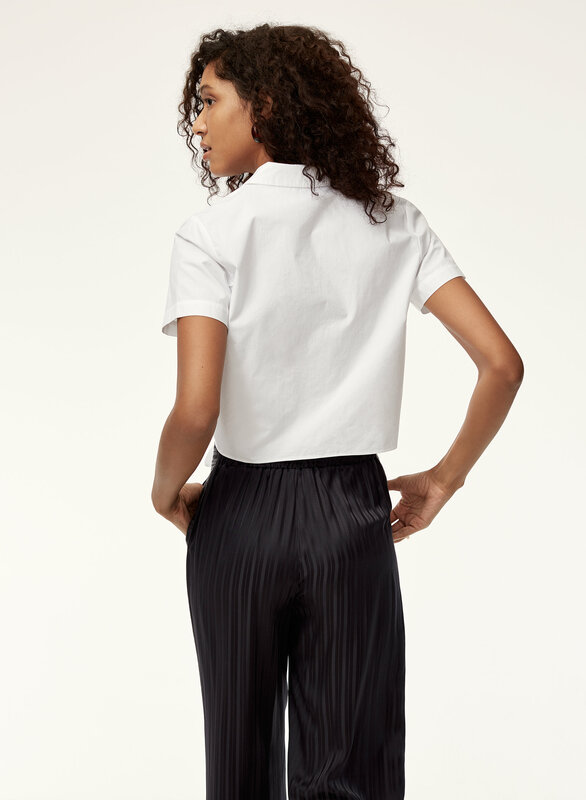 This blouse is made from a crisp cotton poplin that's lightweight and breathable. 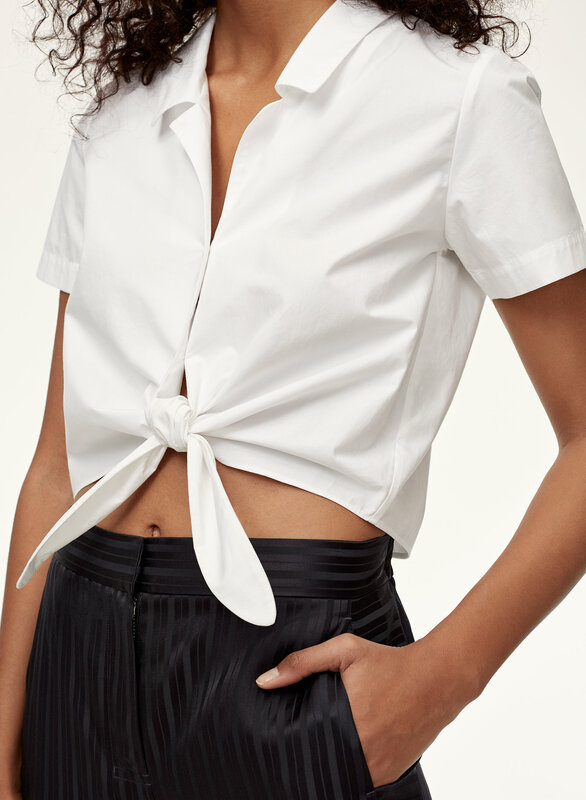 The cropped silhouette and tie front lend a vintage-inspired, feminine feel.